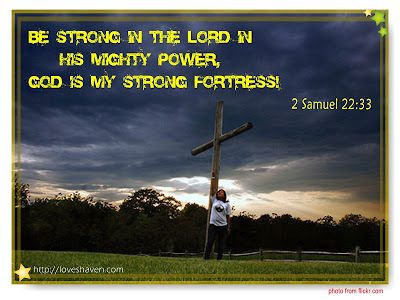 LOVE's Haven: WFW: Be Strong! Happy Word-Filled Wednesday to all and be blessed! I am so glad it is His strength that upholds us. God bless yah sis. musta ? Beautiful photo; great verse! Thanks for sharing.